Scotland Self Drive Vacations Customized for You. We offer a wide range of vehicles for your Scotland Self Drive Vacations, both automatic and manual. The 7 Seater people carrier is the largest vehicle available, although with groups of 5 + we recommend you choose one of our Chauffeur Driven Scotland Vacations. 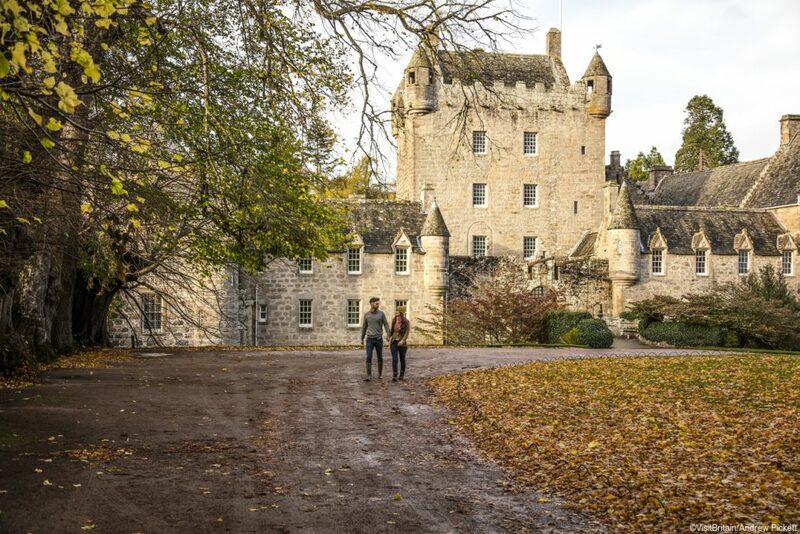 All accommodations are luxury 4* Hotels in this Scotland Self Drive itinerary proposal but you can easily upgrade to 5* Hotels or evocative Castles for that extra injection of luxury on your Scotland Self Drive Vacation. Why not combine your Scotland Self Drive Vacation with choices such as our England Self Drive Vacations, Ireland Self Drive Vacations, or Wales Self Drive Vacations . Arrive at Glasgow Airport early this morning. Collect your car rental and make your way to your centrally located hotel. Spend the rest of the day exploring Glasgow. 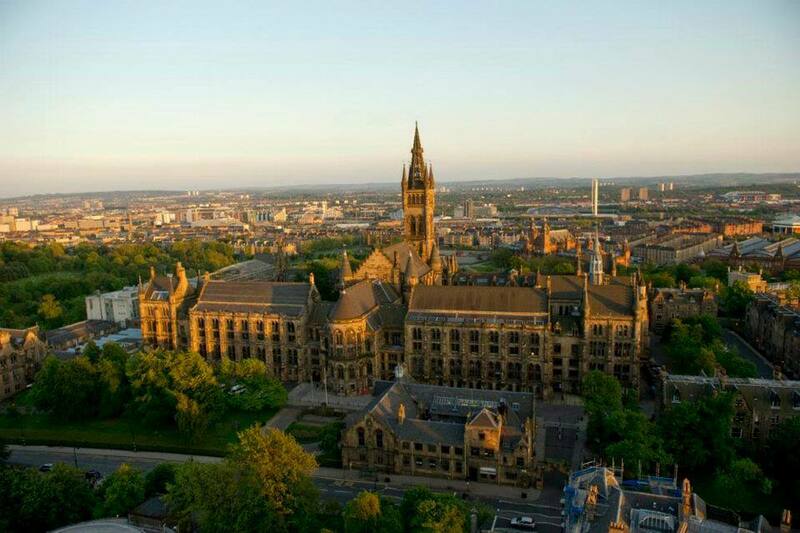 Some attractions you might like to visit include St Andrews Cathedral (built in the early 1800s), Kelvingrove Art Gallery and Museum, the Tall Ship on the River Clyde, Glasgow School of Art and the Willow Tea Rooms. 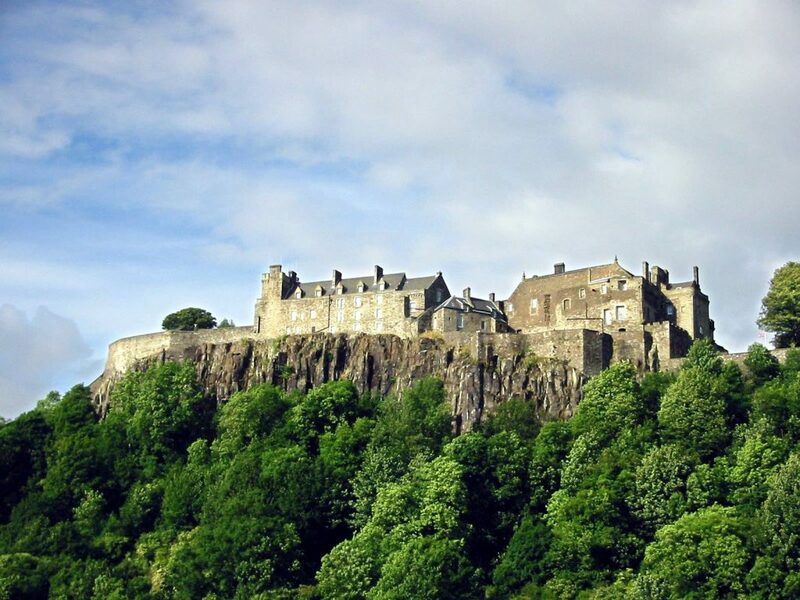 After a leisurely morning in Glasgow travel to the nearby city of Stirling to visit Stirling Castle and the William Wallace Monument. After lunch take a stroll through the Old Town and visit the Dunblane Museum in the Cathedral Square. Check into your centrally located hotel before heading out to explore the traditional Scottish pubs such as the Settle Inn which is Stirling’s oldest Ale House. Less than an hour’s drive from Stirling is the splendor of the “bonnie banks” of Loch Lomond. In the shadow of Ben Lomond, Loch Lomond is Britain’s largest expanse of fresh water and the drive through the National Park offers some of Scotland’s most breathtaking scenery. A visit to Balloch Castle and the nearby Aquarium are highly recommended. Drive on through Glencoe and Fort William before arriving at your hotel located in one of the most dramatic areas of the Great Glen in these stunning Scottish Highlands. Portree on the Isle of Skye is just a 2 hour drive this morning. Enjoy spectacular views of the many Lochs along the way. 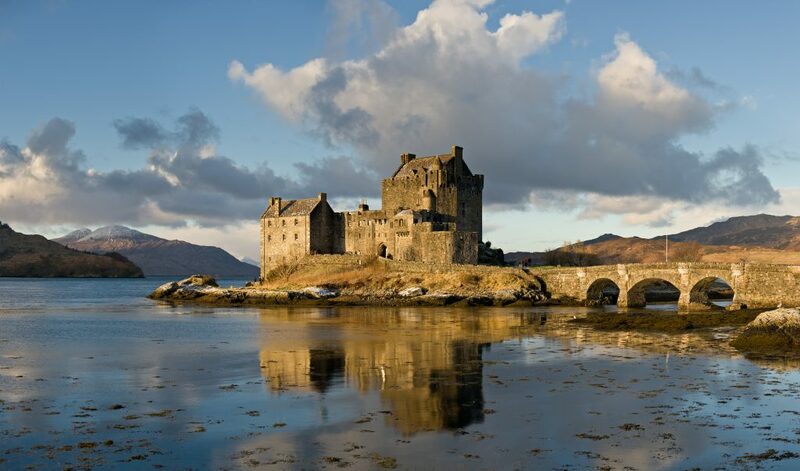 Attractions en route include Eilean Donan Castle, The Brightwater Center and the Kyle Line Museum. Once in Portree settle in to your hotel for a 2 night stay. Spend today touring the Isle of Skye. Visit Dunvegan Castle and Colbost Croft Museum to see both sides of Scottish life as it was. 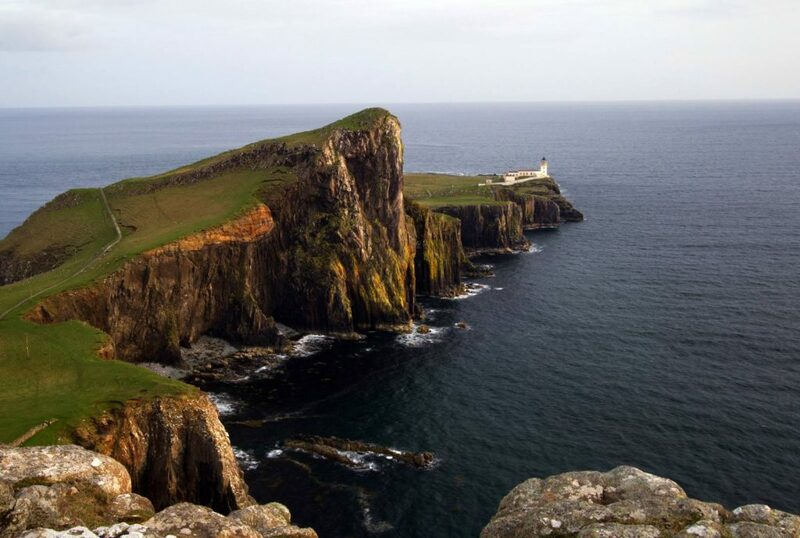 You may also like to visit Neist Point the most Westerly point on the Isle of Skye. Borreraig Park Museum is also worth a visit before returning to your hotel for a second night. 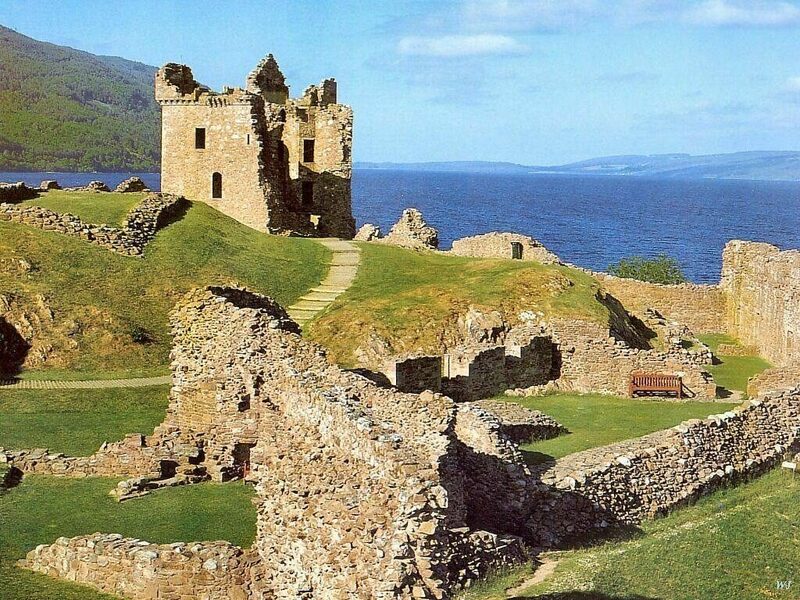 Today head back to the mainland and stop to visit the evocative Urquhart Castle (dated from the twelfth century) on the shores of Loch Ness. Take some time to wander the banks of this famous Loch and attempt to get that elusive (and lucrative!) photo of the monster itself. Carry on to Inverness, capital of the Highlands at the head of the Loch nestled on the banks of the river Ness. Check into your centrally located hotel before heading out to explore the city. Today explore some of Scotland’s most famous sights which surround Inverness. 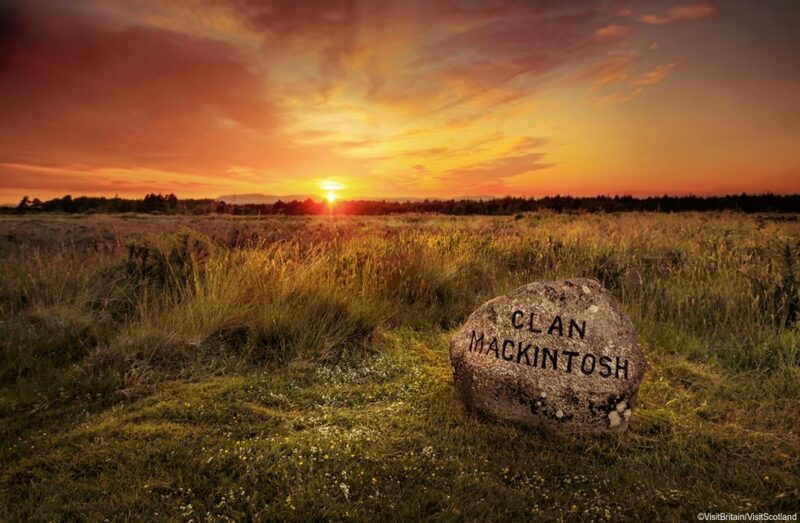 Experience the eerie battlefield on the moors of Culloden where Bonnie Prince Charlie made his last stand and the imposing fortifications of Fort George. From here continue on to visit the Macallan Distillery and take a tour, no doubt stocking up on their famous produce as well. Back in Inverness take a stroll around town to admire views of St Andrew’s Cathedral and Inverness Castle which serves as Inverness’ imposing courthouse. Both these buildings dominate the River Ness making Inverness one of the most beautiful riverside settings in Britain. Today travel east towards Aberdeen. You may wish to stop off at at Nairn to visit Cawdor Castle. Later today you will pass a host of Distilleries as you make your way along the Malt Whiskey Trail. You might like to stop off at Glen Moray Whiskey Distillery in Elgin and Glenfiddich Single Malt Whisky Distillery in Dufftown before making your way towards the east coast and checking into your hotel for the evening. Today, explore Aberdeen and it’s surroundings. With its wonderful of historic towns and villages, crumbling castles and fascinating museums and the beautiful Royal Deeside – an area with deep connections to the Royal Family and Queen Victoria – the history of Aberdeen City and Shire is a truly captivating one. See where the Royal Family have holidayed since the 19th century at Balmoral. 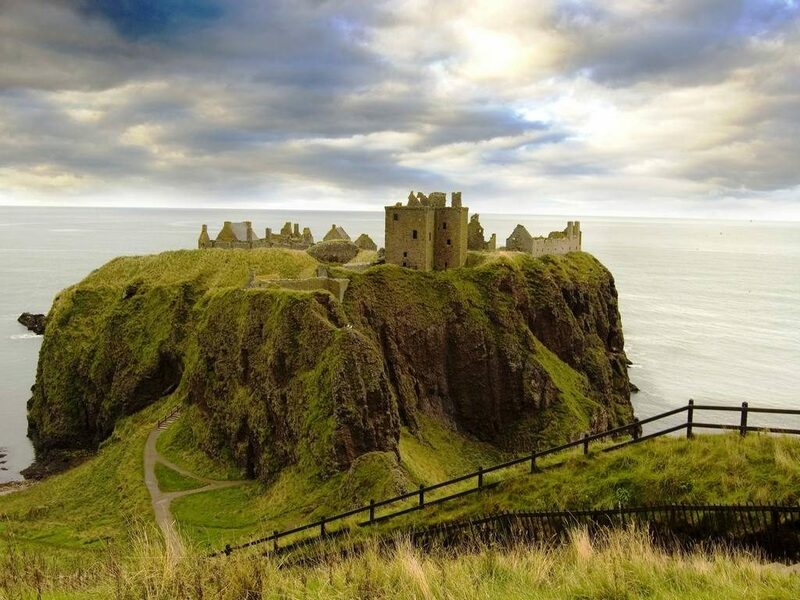 Explore Scotland’s only designated Castle Trail which includes seventeen of Aberdeenshire’s finest castles. See everything from sumptuous Highland estates to atmospheric cliff-top ruins to Jacobean tower houses which have hosted a colorful cast of historic figures ranging from William Wallace to Queen Victoria. This morning travel to the city of Perth. 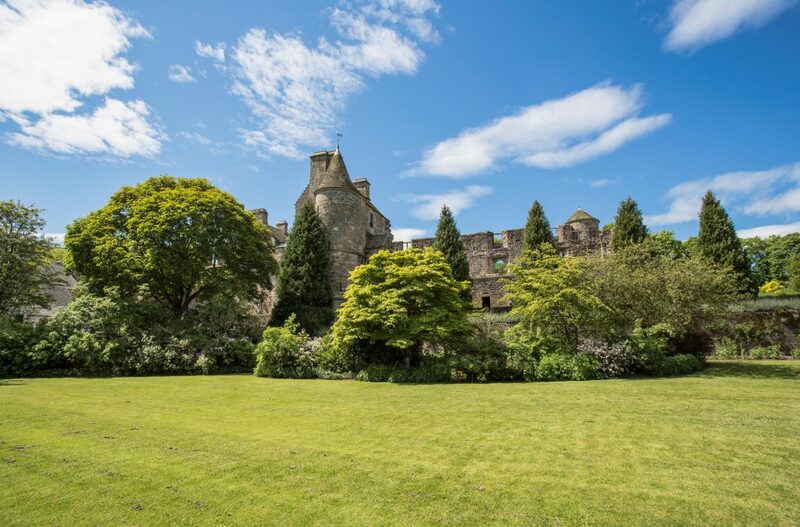 Here you can visit the Black Watch Castle & Museum before taking a stroll around the beautiful Branklyn Gardens to see the extensive collection of many rare and unusual plants. After lunch, continue on to visit Dundee. Tour the HM Frigate Unicorn, Scotland’s only example of a wooden warship built for the Royal Navy and launched in 1824. 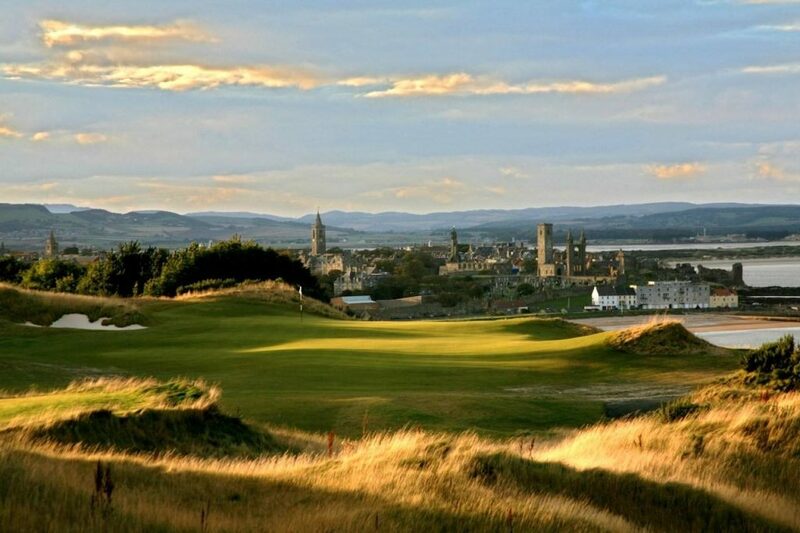 Later, make your way to St Andrews and check in to your hotel which overlooks the famous Old Course at St Andrews. Enjoy a leisurely morning in St Andrews before making your way back towards Edinburgh. Stop by Falkland Palace and experience a day in the life of the Stuart monarchs. Falkland Palace was their country residence for 200 years – and a favorite place of Mary, Queen of Scots. 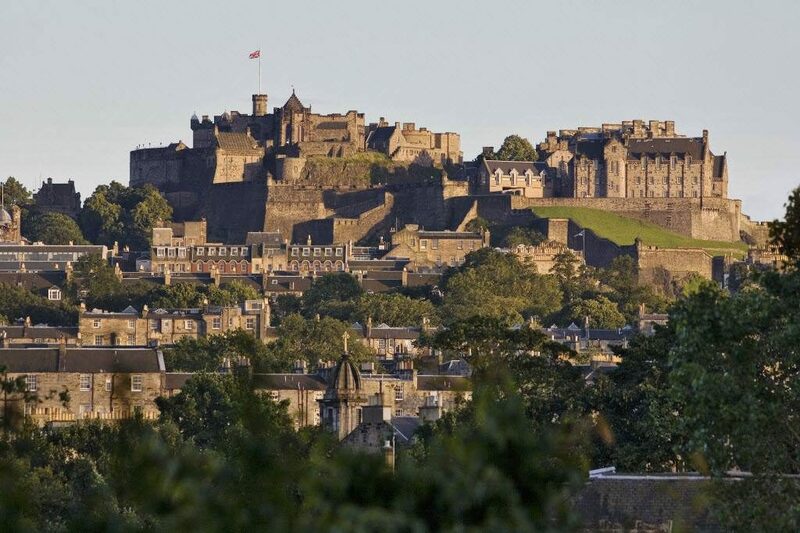 This evening check into your hotel in the center of Edinburgh before heading out to explore this historic and vibrant city. Spend today exploring Edinburgh – a compact city to get around with most sites within easy walking distance of the city center. From Holyrood Palace to the world-famous Edinburgh Castle, St. Giles Cathedral and/or the Museum of Scotland to Real Mary King’s Close the sites are plentiful. Don’t forget to relax and just take a stroll along Princes Street, soaking up the sights and sounds. Allow plenty of time to return your car rental before boarding your flight home. Our Sheenco Scottish self-drive tours include your car hire, all hotel accommodations and breakfast each morning. All tours are individualized to suit your specific needs – you can add and omit items as you wish to suit your own itinerary. Avail of our complimentary concierge services in the run up to your trip and we also offer 24 hour on tour support.